Out of my way! cries Ben Banana the boss of the jungle monkey gang. On which limb is he sitting now? If you jiggle the proper tree limbs in this 3D jungle you might annoy Ben and his gang enough that you can then pilfer their beloved bananas. 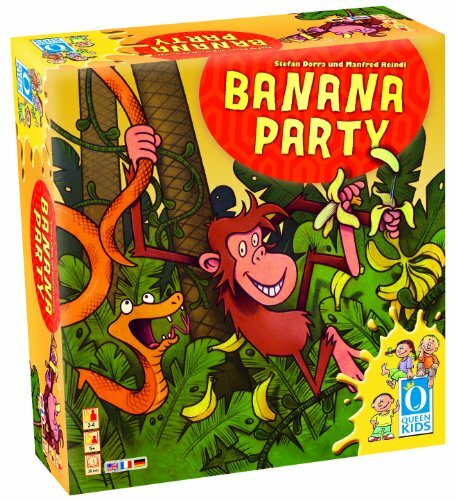 In the end whoever collects the most bananas in Banana Party will win the game and be able to host a party of their own.